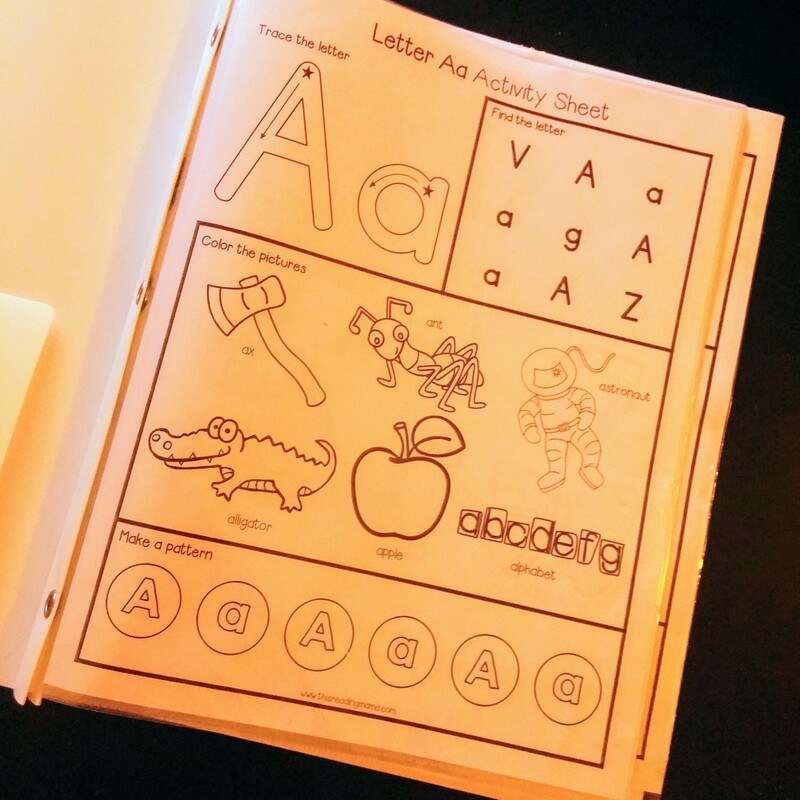 My son has started to learn his alphabet and I was looking for ways to help him review his letters each day. There are lot of printable sheets online, but I found myself printing so many and I needed a way to reuse them occasionally. Some of my favorite alphabet printables are from “This Reading Mama” blog. 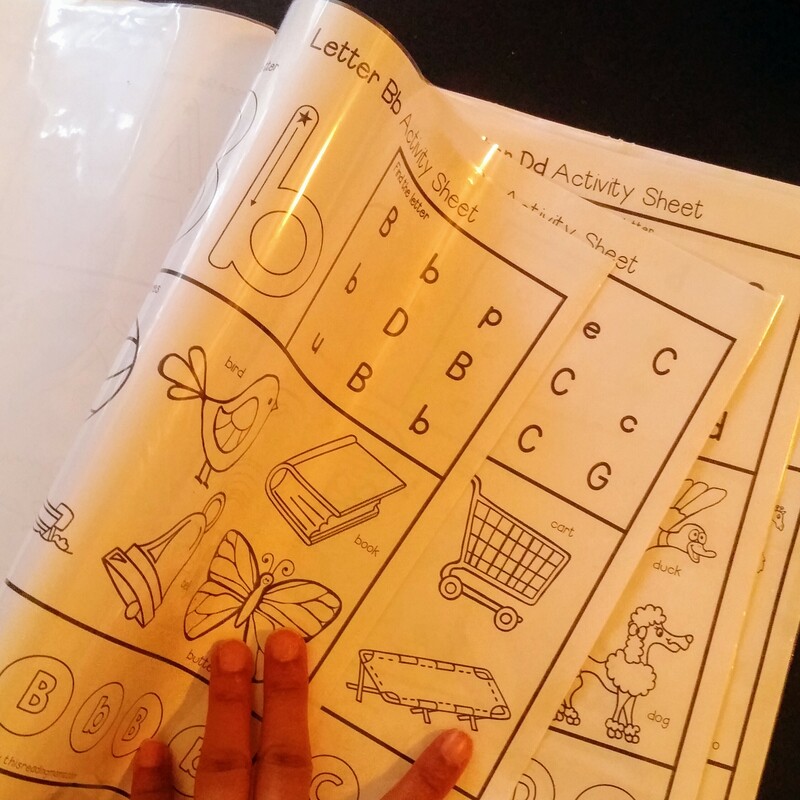 She has some great free alphabet printables, as well as other educational printables. After going through several sheets, I decided a dry erase option would be great for review. It was pretty simple to make the dry erase “book”. First I printed the printables I wanted to use. 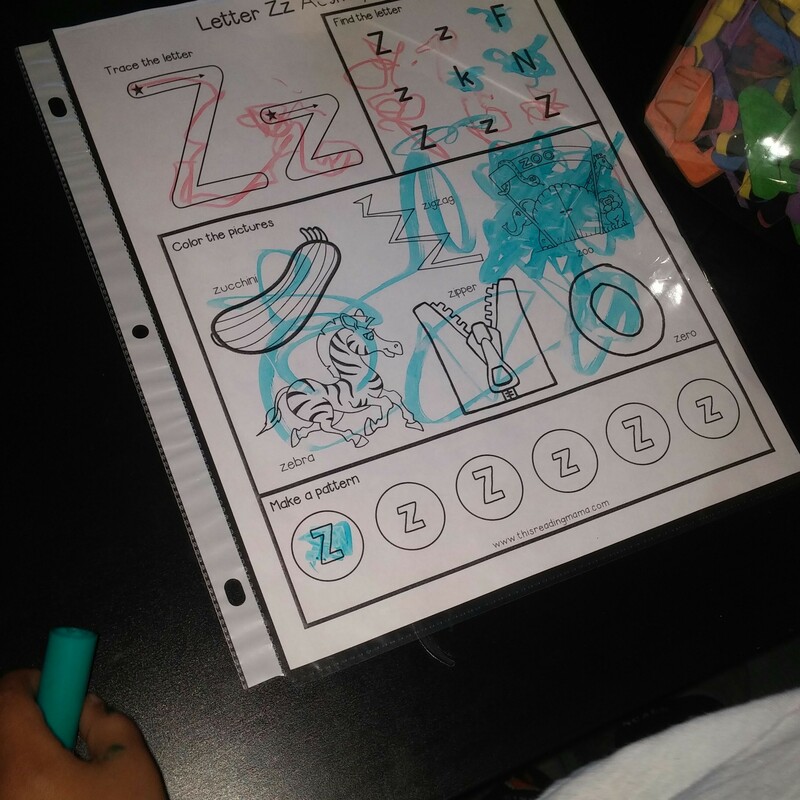 I decided not to put them all in the book at once, but started with the letters he was reviewing and started to add more sheets as he began to learn more letters. Next, I purchased Crayola Dry Erase markers, page protectors, and a simple 3 ring folder. You could also use a 3 ring binder. I chose a folder because I thought it would be easier for travel. That is all you need! 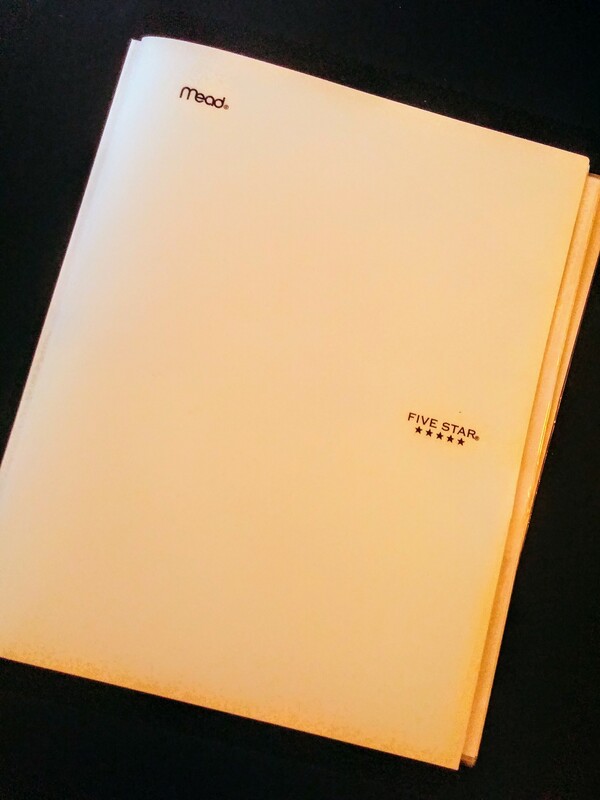 Put all your sheets in the page protectors and then place them in your binder or folder. They are easy to use and wipe clean with a tissue or paper towel. I used this plastic three ring folder and it has held up well. You can find some great free activities online to assist with your child’s education. I will share more as I find and use them! What sites or activities have you found?